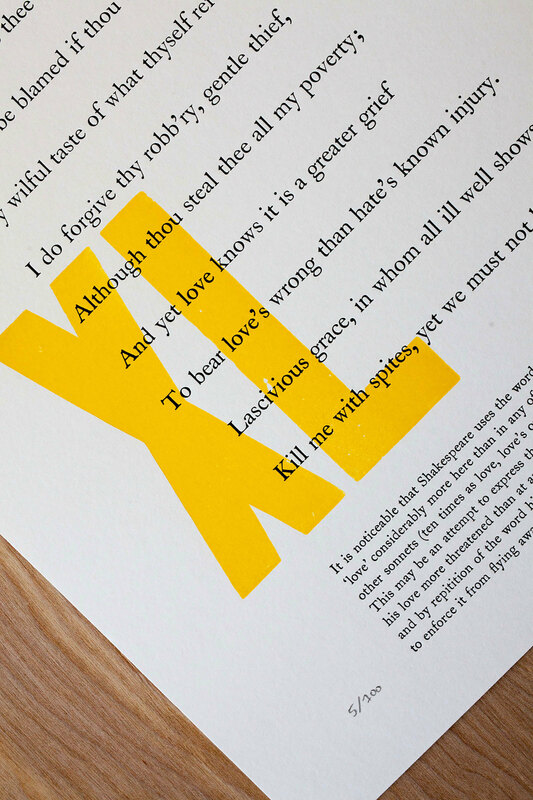 Designed, hand-hype set and letterpress printed by Jamie Murphy and Harry Clarke for the Sonnet 2016 project at the Bodleian Library, marking the 400th anniversary of the death of William Shakespeare. Set in Caslon type and a 24 line Grotesque wood type designed by Stephenson Blake Co. Printed on 170 gsm Lambeth acid free. 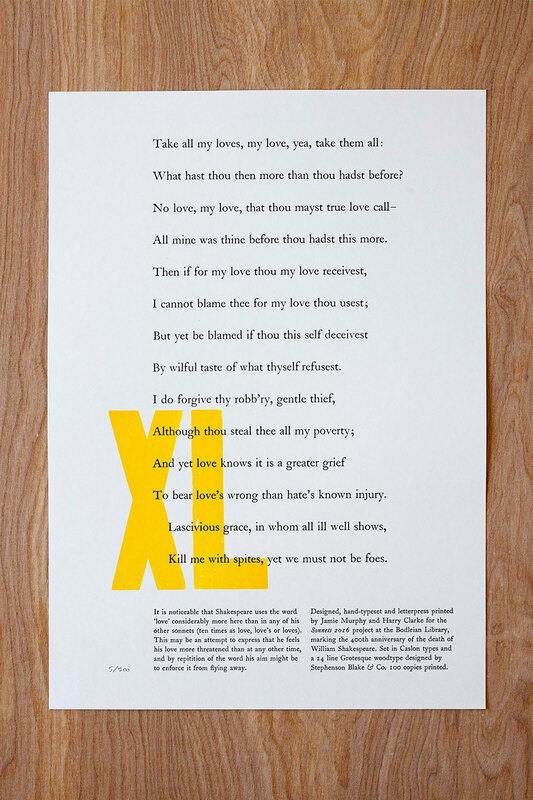 Printed in an edition of 100 copies.